Thank you for your congratulations about the baby! We are really excited about this! Our plan was to have our kids 5 years apart, but when that time came around it just wasn’t the right time for us. Now, we are settled and not planning to move for at least a year and a half or more. Its time. Its also time for planting! This weather has been beautiful! Its been mostly sunny and close to the 80s. We even had a little hot weather warning in the weather report. Saturday afternoon some new friends came by to visit and brought us an 18 pack of fresh eggs, a meat rabbit, and smoked bacon all from their small home farm. We spent a lovely afternoon talking about their farm, our falcons and everyone’s kids. We had the smoked bacon and eggs for brunch on Sunday. They were so full of flavor! As for the rabbit I’m not sure what I’m going to do, but I’m excited to try. Tom is the only one who has had rabbit before. Brae has already informed me that she DOES NOT eat rabbits. I told her that she has many Italian ancestors who ate rabbits all the time, in fact Tom’s mother ate rabbits at her Sicilian grandmother’s house quite often. Brae wasn’t swayed whatsoever. I will let you know how we end up cooking this rabbit and we’ll see if I can get Brae to try it. Tom is really fighting for fried, but I would rather go with braised. Any suggestions? Ok, back to gardening. I started drawing up plans in January while the bird baths were iced over. I didn’t think my backyard got much sun so I wrote it off as a no garden area. Bummer. 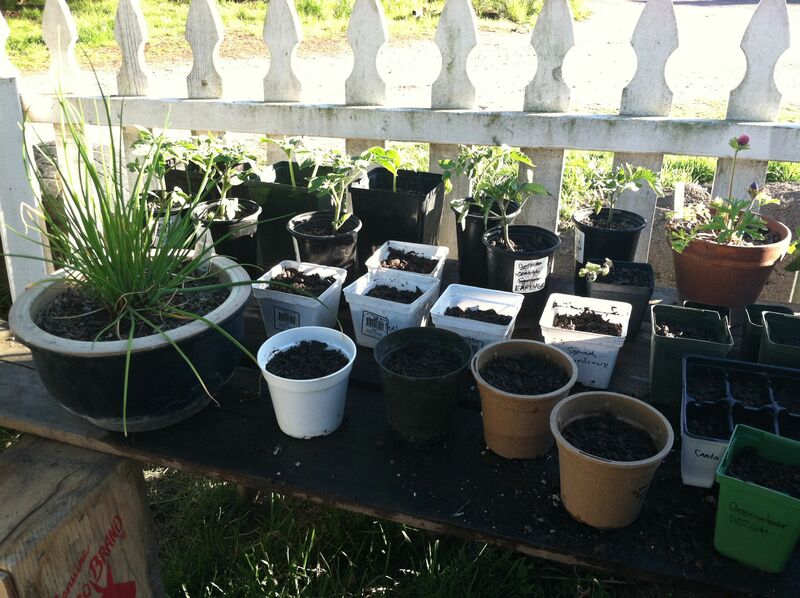 In February I tried to decide which plants to grow this season and where they might go. In March I went through my old seeds and threw most into an empty bed by my house, not expecting much, but hoping anyway. I also realized that when the sun actually shines it fills half the backyard for most of the day. Yippee more garden space. 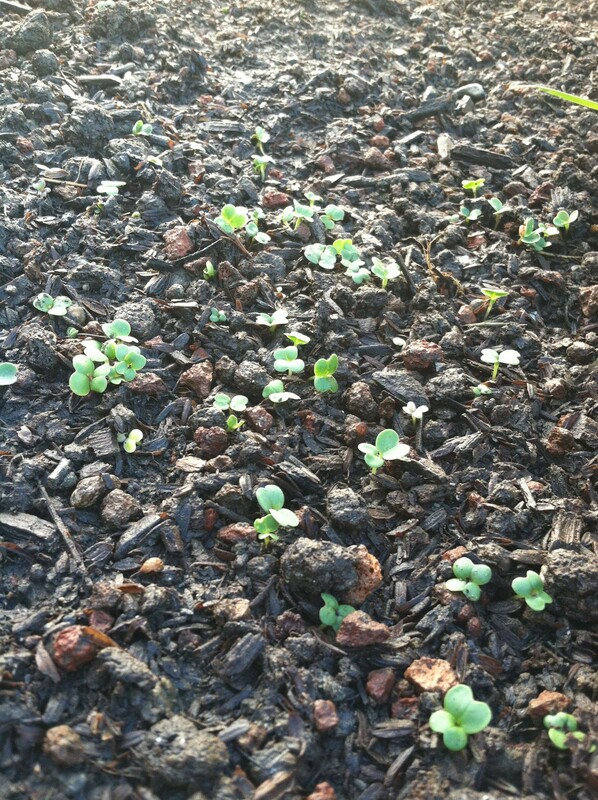 By the beginning of April I had at least one large bed built of free scrap wood, a truckload of soil dumped in the front yard, and my old pea seeds started coming up out of the empty bed by the house. Now, it’s the last half of April and I feel on track. The large bed is filled with soil and planted with broccoli, broccoli rabe, spinach, 5 types of lettuce mixes, swiss chard, radishes and carrots. One of the small beds by the house is stuffed with new strawberry plants with more in pots, another has 6 shallot bulbs still underground, and the third is full of peas and waiting for a tomato plant to join them in about a week or two. 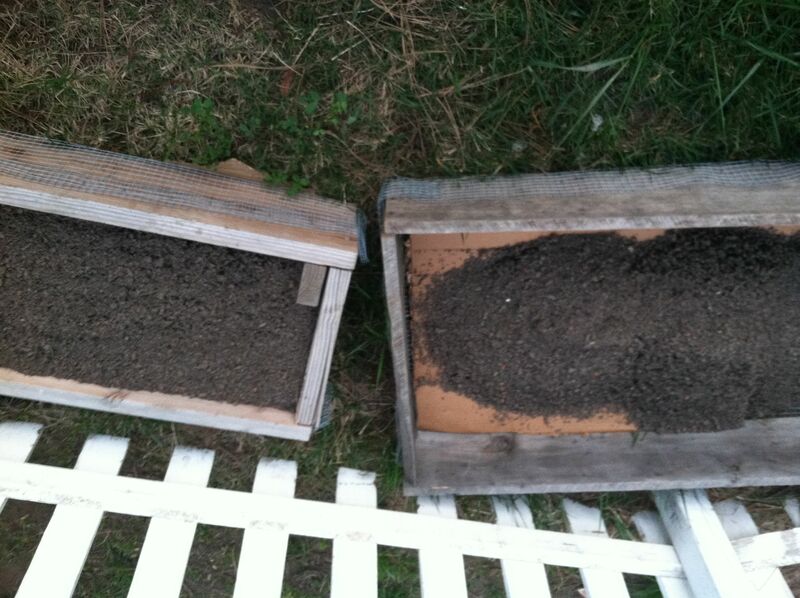 We have squash, watermelon, and cantaloupe seeds planted in 4 inch pots. There are a few tomato plants that I found on sale as well as three lemon cucumber plants. Has anyone tried lemon cucumber? I am excited to try them this year. 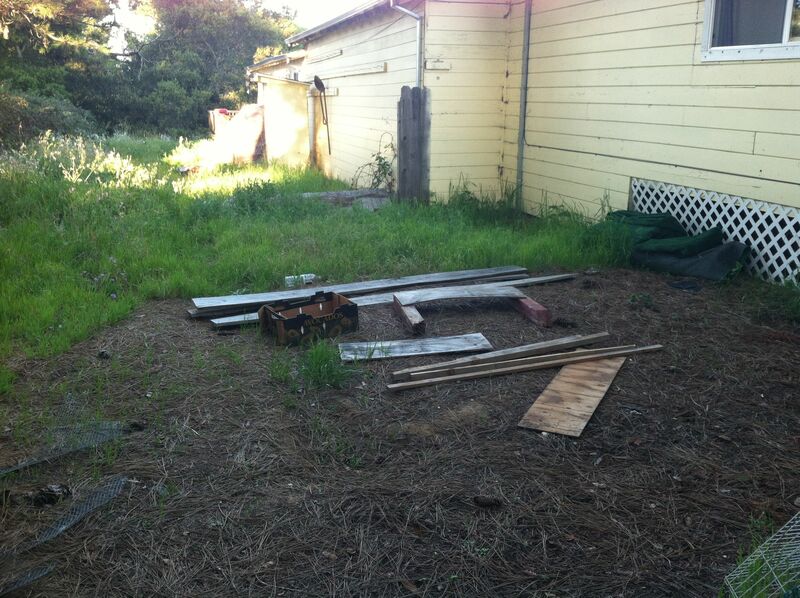 I also have a space marked out in the backyard for two more beds. Wood for one large bed has been scavenged and I am looking for a few more boards for the second bed. Hope to have those completed this week. 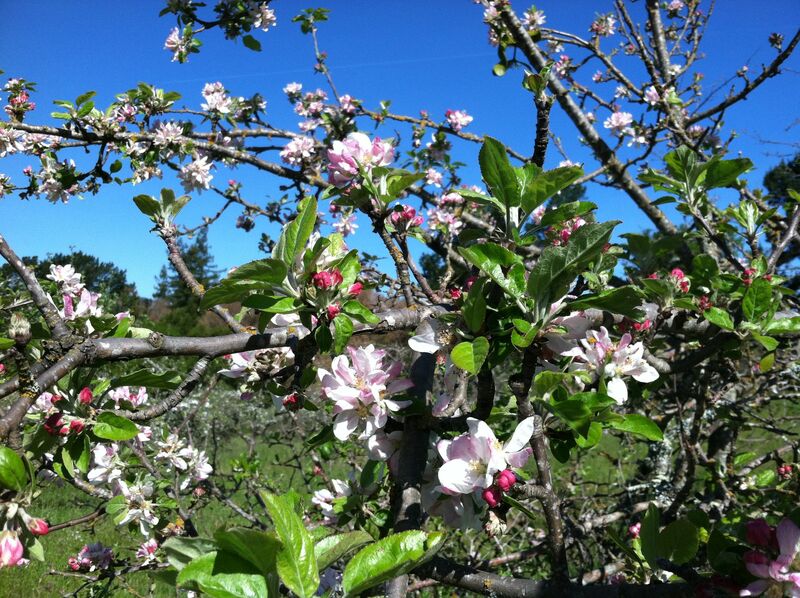 Apple trees are blooming all over town now. We have an orchard full of apples and one lonely pear in our backyard. My neighbor told me that the pear tree, even though its small, produces a surprising amount of delicious fruit every year. I can’t wait to try them. I also can’t wait to try the blackberries. Oh the blackberries! We missed the harvest by a month when we moved here. There were only a few late berries left. 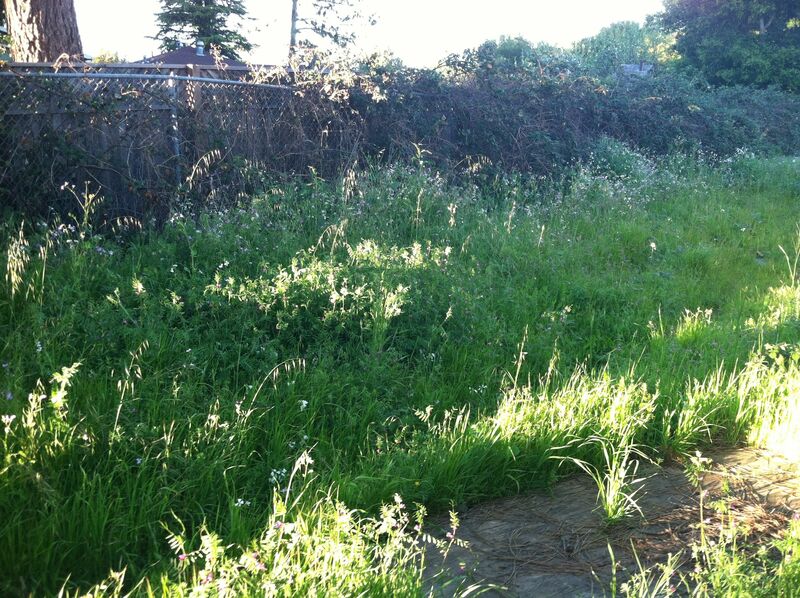 The back wall of our yard is covered with a massive wild blackberry patch that is in desperate need of TLC. I think so far I am most excited about a summer full of unlimited free blackberries, if I can get back there to pick them! What are you growing this year? Anything new? Love the garden photos and your descriptions. I unfortunately live in NYC and have a small flower garden but no veggies. I tried tomatoes the first few years I was here (now 30 years ago), but haven’t enough sun; I think my harvest was about four tomatoes each summer, so I gave up. But what caused me to really reply was the “rabbit.” Yummy, yummy. One of my most favorite meats. I was raised in a very small rural town, born during World War II, a time when many folks had their own chickens, gardens, etc. My parents went even further, probably because my mother was born on a farm in Ireland and knew how to garden AND milk a cow. We had four stalled milking goats, usually about 100 chickens, a few ducks, and lots of RABBITS. When rabbit is home handraised and fed good quality grass or chow, you can fry them because they are so tender. Ask your rabbit patron if they are that tender. I usually still make it and eat it at restaurants all the time. If they think the frying isn’t going to be ok because of the tenderness factor, braising is the way. Whichever you use, throw in some good white wine, garlic and few juniper berries, bay leaf. You can make it up. You can also put a little flour on them in either case and it will help thicken up the sauce. The internet, BTW, is full of recipes. I also love rabbit in red wine, almost as a coq-au-vin, and again I would put those juniper berries and bay leaf in (your daughter might be inclined to eat it made this way). Key is the way it has been cut up; should be similar to the way you would cut up a chicken: legs, second joints, breasts in several pieces. The breast meat is not as thick as it is on chicken, but so delicious; in my opinion MUCH better than any old chicken. Let us all know (with photos) how you do so we can drool over the finished product. Thank You!! I think these rabbits have been allowed to graze outside in the grass so they should be tender but I will ask. It sounds like frying is the way to go if I can get away with it. Thanks for all your tips! On another note, Have you tried growing lettuce or any other winter veggies. You might be able to get away with growing them all summer because they will have lots of shade. Peas would be easy to throw in with flowers too. You’re absolutely correct that might be possible. 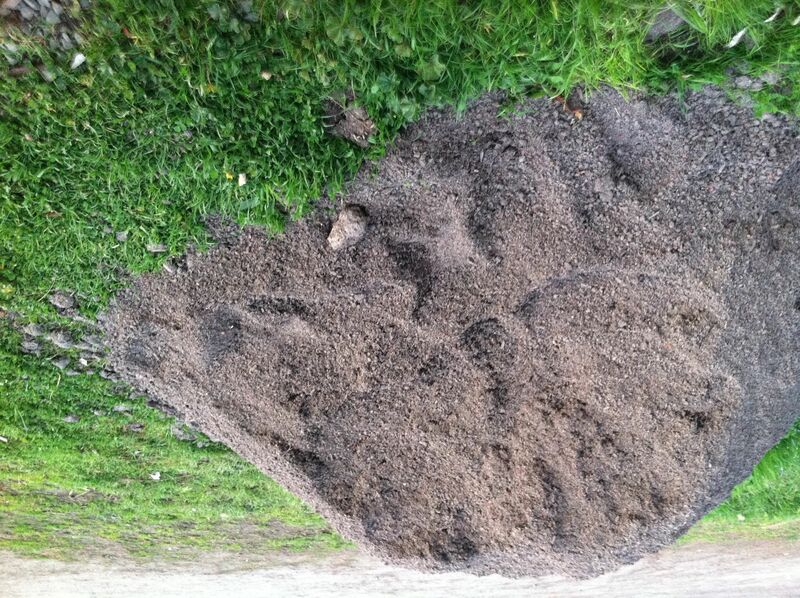 Only problem now are my 70 year-old bones and bending down to dig. LOL The grass-fed rabbits should be the BEST; you cannot beat grass-fed; my mouth is drooling. Enjoy. Your garden is coming along nicely, how fun to have a pear tree! I am just getting started in my garden. 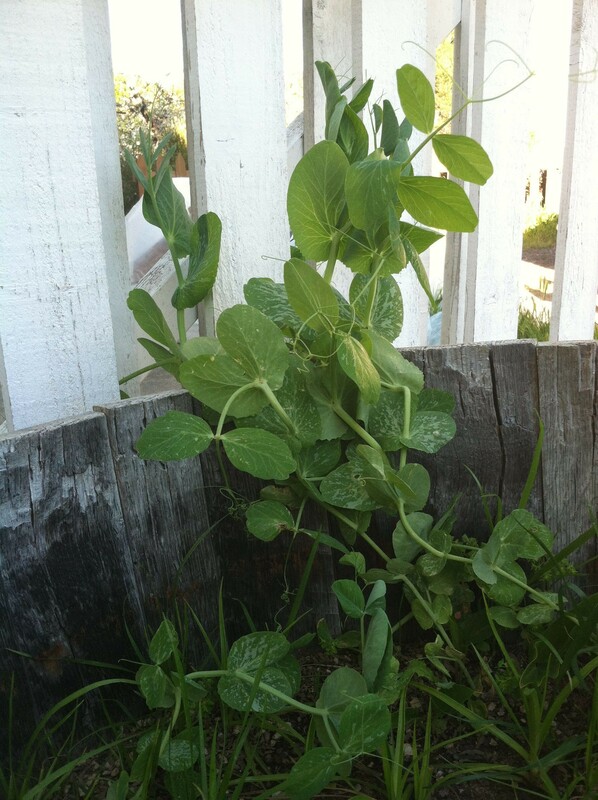 I have sugar snap peas about 6″ high and sweet peas starting to climb up their supports. I love growing tomatoes but I am in the pacific northwest – we don’t always have the temps to ripen tomatoes! This year I am trying “siberian” a variety that can mature in as few as 48 days so we will see! Wow 48 days is so short! I hate waiting sometimes up to 80 days for tomatoes. I plan on grabbing a couple that take less time this year. I already have a couple Early Girl’s. I think they take around 55 days or so. 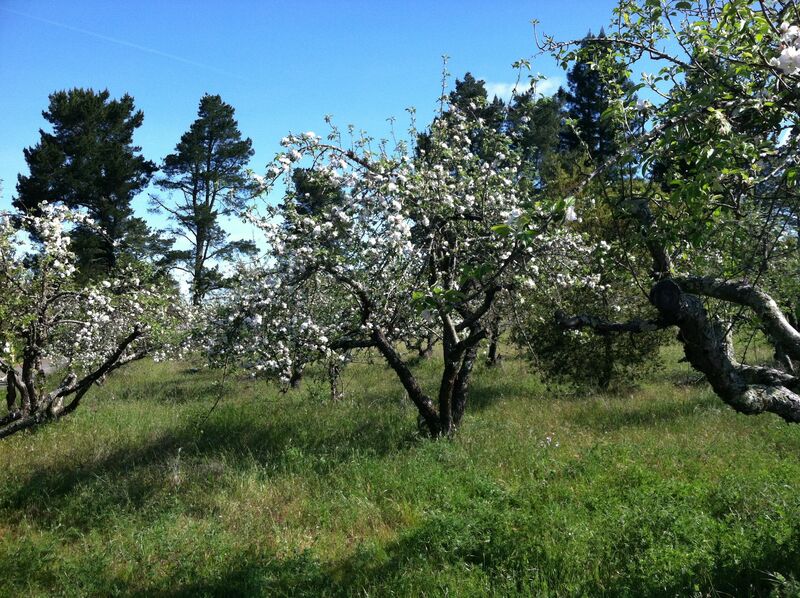 It looks like heaven….and must smell wonderful in the mornings with dew still on the grass and blossoms. You did A LOT of work in that first trimester, there. I’m impressed! I’m moving again in two months, so my garden has only what the previous tenants had. 😦 Then I’ll inherit a garden from someone else in July (next house)……so, I’ll have to wait to do anything much at all. 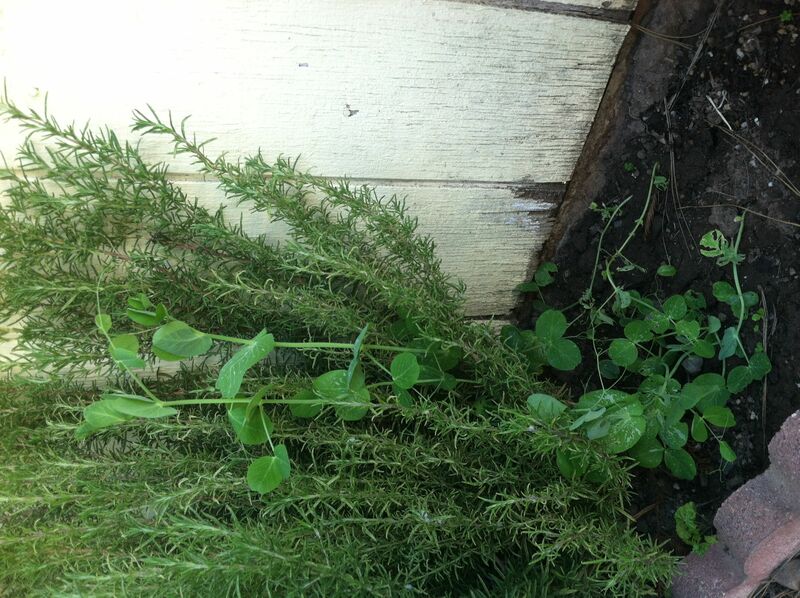 However, I’m going to have potted herbs at least. 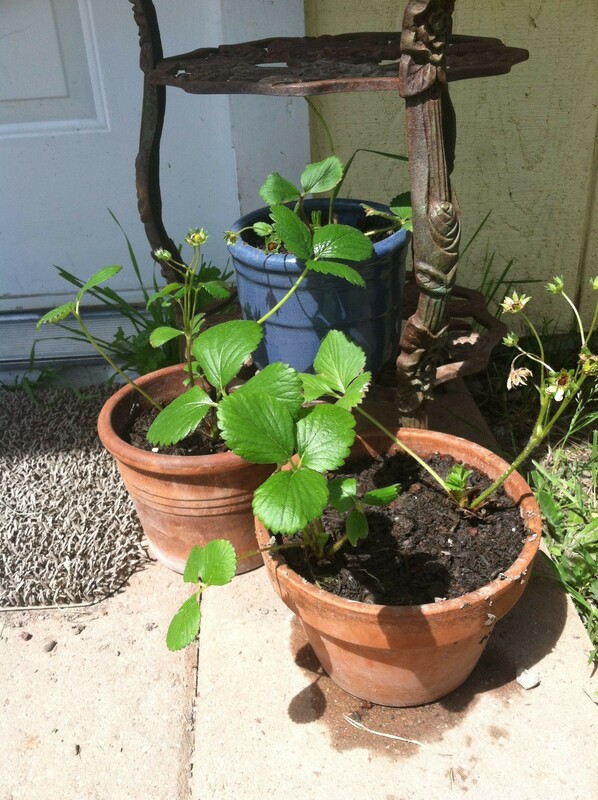 I’ve found a resource in my next city for all kinds of herbs and vegetable plants….including scented geraniums! It’s been awhile since I’ve had those.